As Property Manager and Leasing Associate for Evtex Companies, Robyn applies her twenty plus years of commercial real estate experience into a portfolio consisting of approximately one-half million square feet. She manages and leases a twelve (12) building, 377,752 SF, industrial project in Northwest Houston, in addition to overseeing the daily operation and leasing for a two (2) building 124,680 SF office building complex in the Houston Galleria area. Over the years Robyn has helped to shape the Evtex brand as a customer-driven company; She is tuned with the pulse of her tenants, prospects and clients, always anticipating and responding proactively to their needs. Beginning in September 2007, Robyn began management duties for Mitchelldale Business Park, a project with more than 70 tenants. In just a few short months, she was able to implement cost savings measures that have effectively increased the owners net operating income. Robyn has also performed a dual role as a key member of the two-person leasing team which was responsible for increasing occupancy at Mitchelldale Business Park from 67% to 84% with a total of 40 lease transactions. Total leases consummated during that year consisted of 161,616 SF, comprised of 75,535 SF of new deals, 70,723 SF of renewals, and 12,958 SF of expansions. Prior to taking over the Mitchelldale project, Robyn was the on-site manager and leasing agent at Plaza Fountainview, where she was instrumental in tenant retention successes due to her "hands-on" management style, while also negotiating new leases to maintain a 95% occupancy. In 2007 alone, Robyn successfully procured 68,235sf of leases at the project. From 1998 to 2007, Robyn successfully delivered management and leasing duties at Plaza Fountainview such as preparing monthly financial statements; obtaining building permits; managing construction projects; scheduling inspections; supervising maintenance, janitorial and security personnel; making bank deposits and wire transfers; performing bank reconciliations; preparing and executing annual budgets; showing and leasing of available space; managing floorplans and marketing materials; and effectively responding to tenant requirements on a proactive basis. In 1998, Robyn relocated to Houston, Texas from Albuquerque, New Mexico and joined Evtex as an integral member of the third party management team. Her focus was on tenant retention, in a project that had historically endured notable turnover. Robyn was successful in stabilizing the tenant base after less than a year at the project. 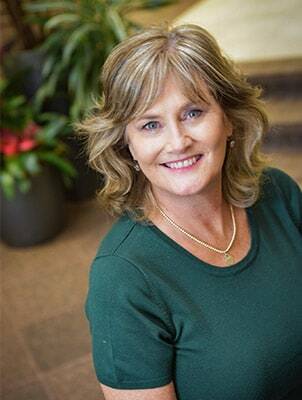 From 1993 to 1998, Robyn oversaw remodeling projects and warranty work for property owners, and executed administrative responsibilities for Patterson Property Management. Robyn began her Real Estate career in Albuquerque, New Mexico, managing multifamily and single family rental property for Swafford Property Management. In 1987, Robyn acquired her in-depth knowledge of construction management by supervising residential construction, obtaining building permits and managing the corporate office of DeBlassie Builders, Inc. Robyn had her New Mexico Real Estate Brokers license and is also a licensed Texas Real Estate Salesperson and is a member of the Houston Association of Realtors.